In 2016, the UN Global Compact-Accenture Strategy CEO Study revealed that 80% of CEOs believe that demonstrating a commitment to sustainability and societal purpose is a differentiator in their industry. For several years, a majority of investors have recognized that sustainability is a major factor in ensuring long-term returns. Ernst & Young upholds that sustainability reporting is “a best practice employed by companies worldwide”, as it can help improve practices already in place. In short, there is no doubt that reporting sustainability data has become a crucial part of success for every large business, providing an avenue to improve their relationships with investors and clients while doing some good in the world. 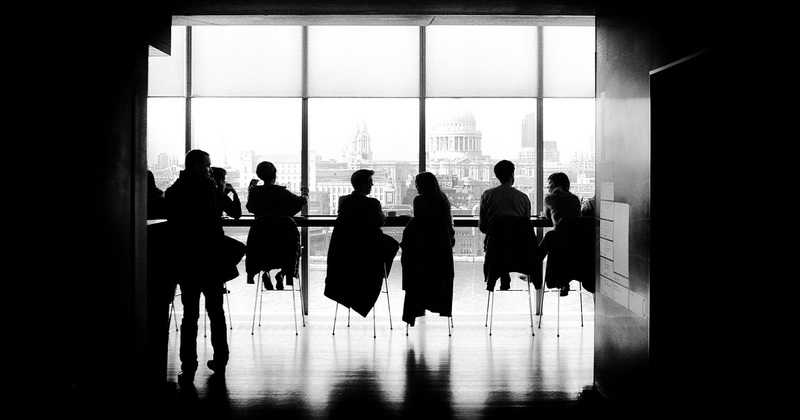 With more and more clients, consumers, and investors looking to environmental and sustainability indices and performance reviews during the decision making process, business leaders are pushed to improve their standards of accountability. By creating transparent reports on sustainability data, preparedness, and programs, they can generate positive interest in their company and offer insight into how they have improved or are working on improving their relationship with environmental, social, and governance (ESG) issues. Insights that result from these reports can also benefit a company internally, helping to provide detailed analyses and determine areas for improvement. Demonstrating effective and transparent sustainability practice is a key part of any company’s Corporate Social Responsibility (CSR) strategy. While improved sustainability can lead to greater efficiency, lower costs, and greater innovation within an organization, effective CSR can increase competitive advantage, protect and raise brand awareness, and build trust with both customers and employees. How does an organization ensure that their operations are aligned with investor and client sustainability standards? 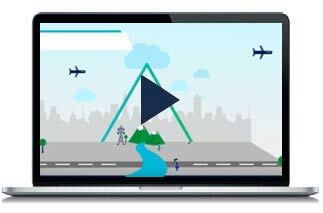 Disclosure is a straightforward way of benchmarking performance, demonstrating transparency, and communicating a commitment to environmental and social sustainability. For example, CDP’s Climate Change, Water, and Forest questionnaires evaluate every aspect of an organization’s operations and procedures, giving organizations a way to provide transparency to interested parties, as well as benchmark their performance against their industry and their peers. Other global ESG reporting programs include GRESB, EcoVadis, and Sustainalytics. As concerns over the effects of resource use, environmental impact, and climate change grow among investors as well as within the public sphere, effective sustainability reporting has become a crucial part of any CSR strategy. With successful brands like Adobe, H&M, Microsoft, and HP submitting disclosures every year, 2019 is as good a time as ever for your organization to put its best foot forward and demonstrate a commitment to growth and sustainability. 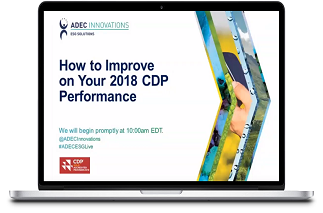 As a CDP Gold Consulting Partner, ADEC Innovations has scored over 20,000 CDP responses since 2011. We work with you to maximize your CDP disclosure, improve overall performance, and create a strategic roadmap for improvement. Get in touch to find out how we can help. Need help creating your own CSR report? Our team of sustainability experts will work with you to collect, analyze, and report on all the metrics you need to construct a report that is consistent with where you are on your CSR journey. Contact us to learn more.